My husband recently returned from a business trip to Thailand bearing gifts, including a new necklace! He knows me well, and the piece he chose reflects colors I wear often: orange, turquoise and green. I was excited to wear it. I was even more excited to find that it was a perfect match to a dress I purchased in 2010 for a vacation in Cabo, but didn't end up wearing. The dress still had the tags on it when I pulled it from the back of my closet Saturday morning for a day of sightseeing, people watching and alfresco dining in our own fair city. The necklace gave me good incentive to finally wear it, and helped me stay on track with the personal closet challenge I first talked about here. Thanks, Lovely! 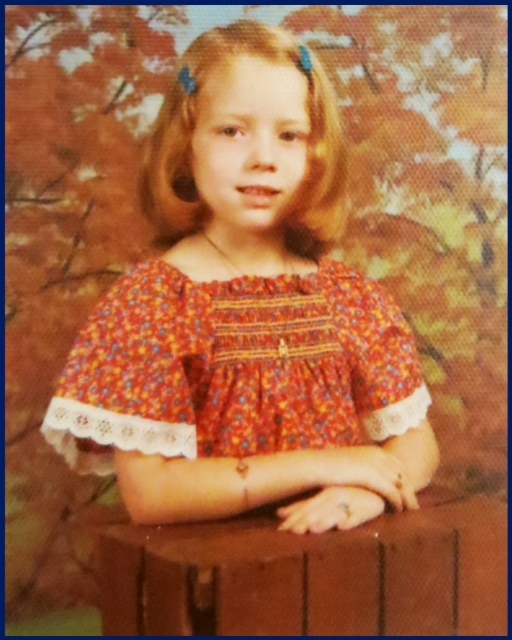 Sporting one of many smocked tops sewn by my mom for my kindergarten school picture. I'm linked up with Hat Attack - check it out! Thank you, Kezzie! I just love Hat Attack :) I popped over to visit your blog - your black and white gingham swing dress is to die for!!! I'm always so happy to see you at Hat Attack. 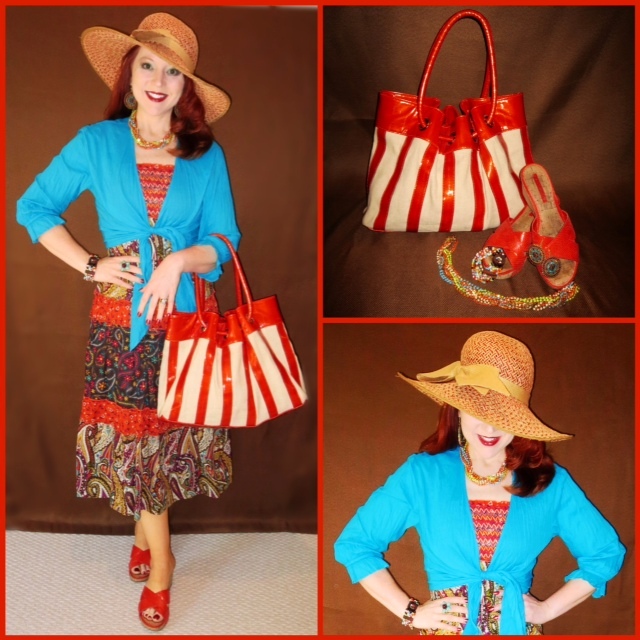 Thank you for sharing your wide brimmed hat and gorgeous ensemble. Your were beautiful as a child and beautiful now!